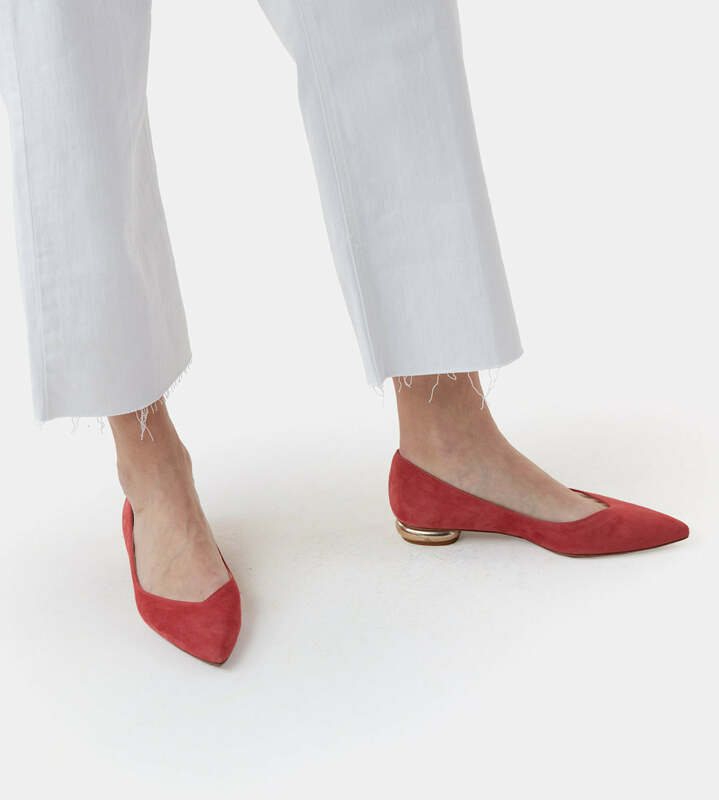 A classic ballet flat, updated with a beautifully flattering pointy-toe shape and striking round heel. 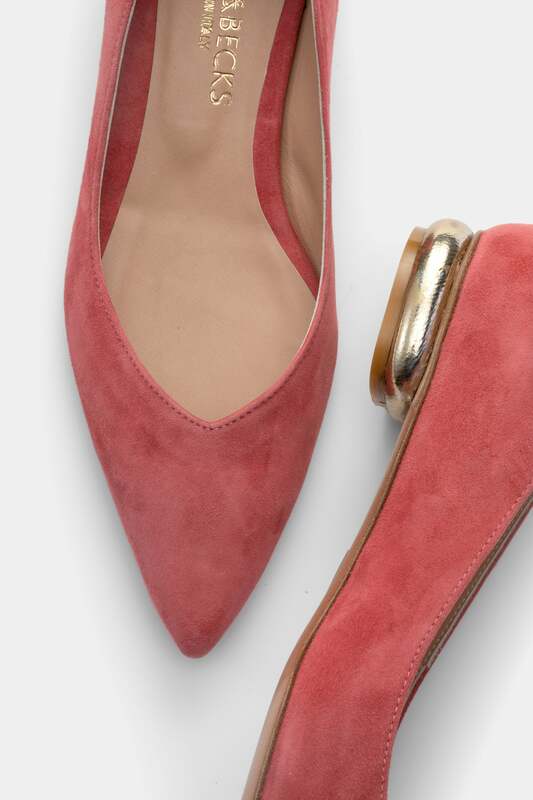 Feminine but fun, Giulia’s richly colored coral suede (the Pantone color of the year!) 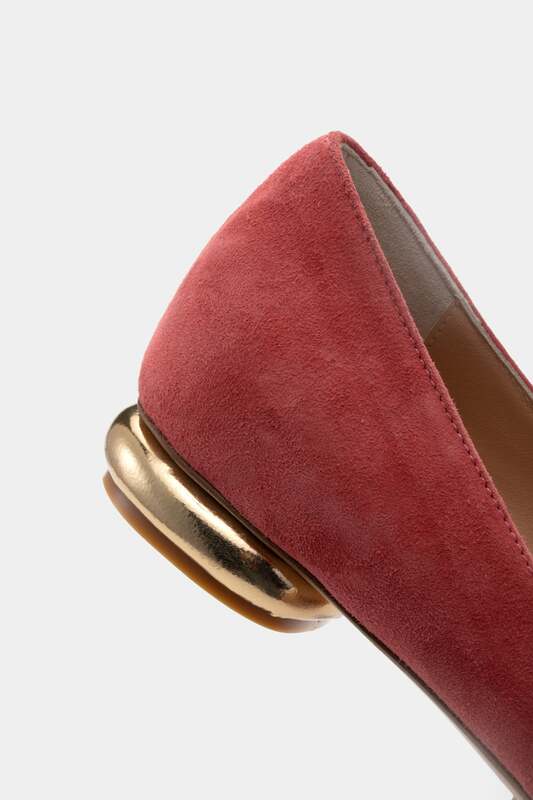 and contrasting gold heel detail add a pop of color and refinement to any look.